Are you going to Coachella? Or are you staying in Berkeley because #CalDay and then #studying for midterms? Regardless of whether you’ll be vibing in the desert or (to our dismay) simply listening to music via your AirPods while walking to campus, you should prep yourself for one of the biggest music festivals of the year. The Clog has compiled a (c)hella lit playlist with some of our favorite songs from some of our favorite artists performing at Coachella. Know these names and these songs, because if you can’t carry a conversation about music, who even are you? The Clog adores The 1975, and “Robbers” is from its self-titled album The 1975. The smooth beats coupled with the ethereal acoustics at the beginning of the song are a perfect way to start off a spring day, and if you want to get familiar with some of the band’s famous songs, this is the perfect song to begin with. Also, be sure to check out its latest album, A Brief Inquiry Into Online Relationships, though we do prefer the band’s older releases. One of Diplo’s latest releases, this is a great dance song. Diplo is an amazing DJ, and what better way to experience his mixes than watching him live at a music festival? We’re having FOMO listening to this song and knowing that we won’t be able to see him perform it live. We’re obsessed with Rüfüs Du Sol. This electronic band’s album Bloom was pure gold, and “Like an Animal” is another great dance song off of Bloom that anyone can vibe to. The band will likely play songs off of their latest album, SOLACE, so make sure to listen to its new material too. If you need to know about one artist performing at the festival, it’s Kacey Musgraves. She just won “Album of the Year” at the Grammys. While “Butterflies” isn’t particularly the typical festival dance song, the lyrics are relatable and comforting. It’s a perfect song to listen to on the drive to or from Coachella or on your walk to or from Doe library on a sunny day. While Chris Lake isn’t as famous as some of the other performers at Coachella this year, we recommend getting to know his music. Another dance song to get the good vibes rolling is “I Want You,” which has repetitive lyrics, but it doesn’t matter since the music itself is so good. We love Tame Impala. Like, a lot. And the band’s newest song, “Patience,” is so good that we could listen to it on repeat the whole day. 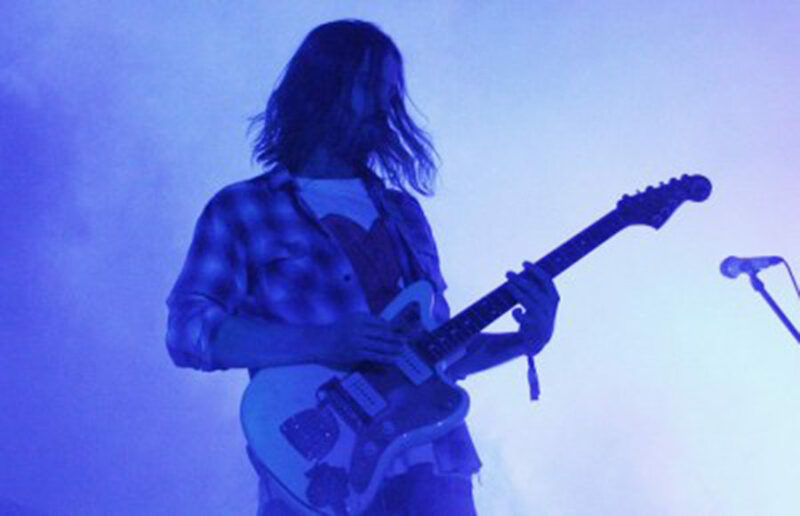 Kevin Parker, the main man behind Tame Impala, is exceptionally talented, and “Patience” underscores his phenomenal voice and creative prowess. Stay tuned for Tame Impala’s next single, “Borderline,” which is set to drop today. Did we mention we love Tame Impala? Well, because we do, we’ve also included one of its classics, “Let It Happen,” in our playlist. If there’s one song that you have to know, it’s this one. Wiz Khalifa has some amazing songs on his latest album, Rolling Papers II, and it includes some fantastic collaborations too. “Mr.Williams” allows each artist to shine, and it’s exactly the kind of rap song we needed. J Balvin is performing at Coachella, and you should know one of his most famous features, “I Like It.” “I Like It” is the perfect song to get a taste of his music. While Ariana Grande has several hit songs on her new album, “Bloodline” is a lesser known but equally good song you should know and listen to. “My Bad” is a slow song, but it’s one of Khalid’s more popular songs from his new album, Free Spirit. If you’re at Coachella and need a break from dancing, you can likely head over to where Khalid is performing for a laid-back but stellar performance. YG is performing as well, and his song “SLAY” is the perfect song for you to get familiar with his voice and his rap style. The Clog approves. Sofi Tukker is a hype duo performing at Coachella, and you’re sure to have a great time dancing to their music. “Best Friend” is one of their popular songs, so we recommend you know it. Where do we even start with Kaytranada? We love him. He’s an amazing DJ — so good that we like the instrumental version of this song even more than the one with words. While Kaytranada has released a good amount of new music since his 2016 album 99.9%, you should also know one of his more popular songs from 99.9% called “GLOWED UP” featuring Anderson .Paak. Ugh, it’s so good, we wish we could go to Coachella just to see Kaytranada perform. You can thank the Clog later for your education on this year’s Coachella artists and songs. Have a great time these coming weekends listening to our playlist, whether you’ll be in Indio or Berkeley. Go Bears.